We’ve all been there. The stress of buying a new home can be extraordinary and this only manifests further if you discover your dream home is actually more of a nightmare but that’s where we can help. 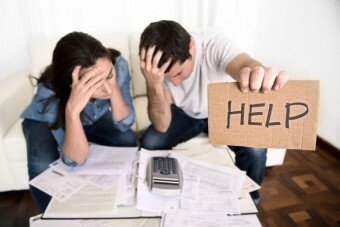 In the UK, buying a home is considered to be more stressful than bankruptcy, divorce and the death of a loved one. Having Brisbane’s best conveyancing lawyers on your side can make all the difference in ensuring that the house you buy is one you love and one that doesn’t have any nasty surprises for you once you move in. Here are a few things to keep in mind before you decide to buy your next home. Unlike most aspects of the house, this isn’t a customisable feature (or not a cheap customisable feature anyway). When looking around the market, it’s always important to consider where the house is and where you’d want to be living in regards to work, your lifestyle and whether it will be a good fit if you’re looking to raise a family or not. The last thing you want is to find yourself resenting the purchase a few months down the line because you fell in love with the house but not the location. This is something that even the best conveyancing lawyer in Brisbane couldn’t help you with in terms of breaking the contract, so make sure you love where you’ll be living just as much as the house. This is something that not a lot of people understand they’re entitled to when looking for a new home. When a buyer’s agent is involved, they tend to trust their judgement and expertise to make sure that they are getting the best deal possible for the purchase. As buyer’s agents don’t tend to be lawyers, they may be unable to answer your questions on the full scope of the document and may be unaware of extra protections you can have put in place for down the line. This means you could be left high and dry later on if something was to occur that you could have been protected against but weren’t. We’ve been in business for a long time now, so we can safely say we are some of the most experienced conveyancing lawyers in Brisbane. We’ll happily look over documents and suggest protections for you that will mean you’re prepared for the future. A problem some people find themselves in after buying a home and moving in is finding out that it has termite damage or pre-existing structural damage that predates the purchase. It is always encouraged to have an expert come in and view the property to make sure you have a much clearer understanding of what’s going on behind the walls of your home. Always pick an inspector who is independent from the parties and their agents. One that will give you an honest evaluation that lets you understand the property you’re considering buying. They’ll be able to spot things you won’t and will let you know how much it will cost to fix any damage or defects, (if repairable). As specialist conveyancing lawyers in Brisbane, we encourage all home buyers to invest in this process. These are just three basic tips for when you’re looking to buy a new home or apartment. It is always a stressful process but you can rest easy knowing that you’ve purchased the best property for you that won’t cause any hassles in years to come. If you’re looking at buying, or selling, and are in need of a conveyancing lawyer, we’re the best in Brisbane. We’re more than happy to go over the Contract of Sale to ensure you’re getting the best deal possible. Contact Just Us Lawyers today and make an investment in your future.